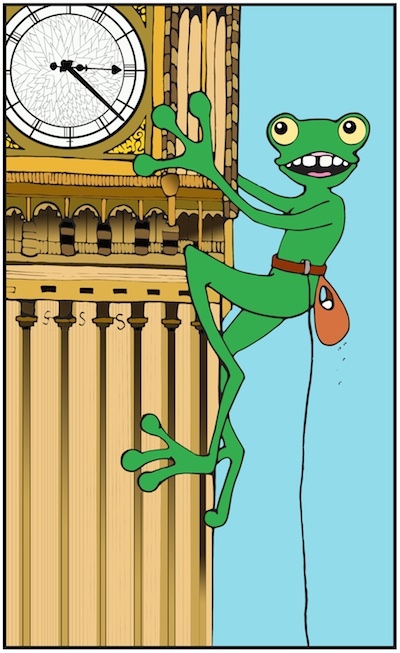 Speak Frog has been providing private French lessons in London since 2009. I teach with a tried and tested oral method that achieves great results in a fraction of the time generally needed. The learning happens in real time, as we go. You listen, absorb and speak. This ensures that what you learn stays in your head, ready to be used. And helps you develop the confidence to express yourself more and more fluently. 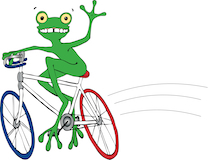 Like a fast-thinking, fast-speaking frog! If you are excited about learning, come as you are and let me take you through it! Go to French Classes for details and prices. You can also visit my learning resources if you would like watching, listening or reading materials. For a selection of the many French cultural offerings in London, go to French in London and check out the blog for news, tips and general musings about the French language. Speak Frog also provides language coaching for actors. Go to Dialogue Coaching for more information. I am Leonor, a London-based French tutor and actress. I studied French literature, English, Spanish, and the humanities after graduating from an International BAC. Other qualifications include an International GCSE (IGCSE) delivered by the University of Cambridge, a History BA from Université Paris X and an Acting BA (Hons) from the Central School of Speech and Drama in London. I am based in London Bridge. I meet in cafés around Borough Market or Bermondsey square. On some days, I am in London Fields and can meet there too. I also offer tuition via Skype so you can learn from wherever you are. And I can travel to you (enquire for fee).